Jim Serger was so moved by the treatment he received from Nebo Ridge Bicycles that he wrote a book about it. Serger, a Carmel resident, details the story of how Carmel’s Nebo Ridge Bicycles, 4335 W. 106th St., helped him prepare to do a bicycle ride to Florida to honor a friend battling cancer. Serger said the shop took time to get know him and his needs and in return got a customer for life. 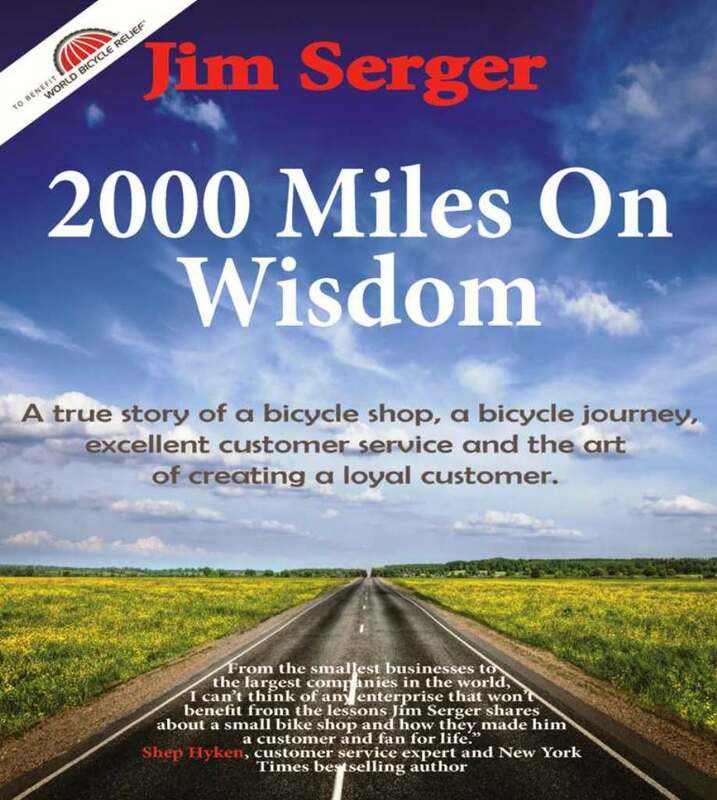 Serger’s book “2000 Miles on Wisdom” will be published on Jan. 15. It has been available for pre-order on Red Bike Publishing. On Jan. 15, it will also be available through Amazon and Red Bike Publishing and will be available on Kindle. The book has been endorsed by six New York Times business bestseller authors and the vice president of Walt Disney World. Serger said that is what Nebo Ridge employees did so he was compelled to tell the story. Serger said he probably won’t write another book on customer service, but could see himself writing a business book. Serger previously wrote a book, “Go the Distance” about saving his relationship with his father, who had battled alcoholism.